As there are differences in quality of flower foam - the same is true of wedding candles. 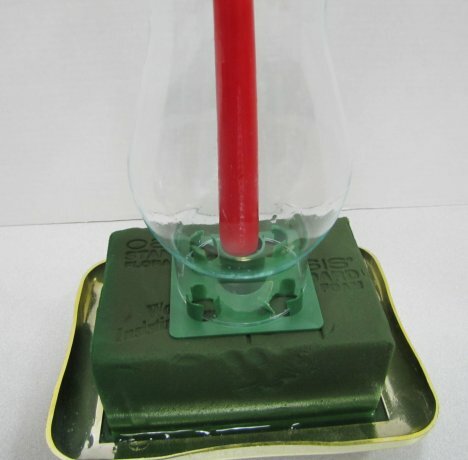 Cheaper candles are made from products that melt down very quickly. Choose a quality candle that are created from products that produce a slow, steady burn. 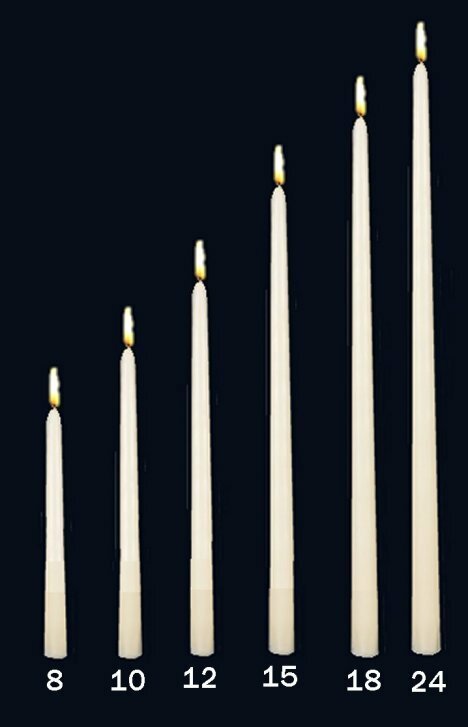 There are a variety of candle heights, but I prefer using 14" candles in candelabras. They are tall enough to produce a good look and keep the flame well above the flowers. ALWAYS check with your venue first to see if candles are allowed and whether there are any restrictions on their use. Take care that flames are protected in globes or floating in water if possible. 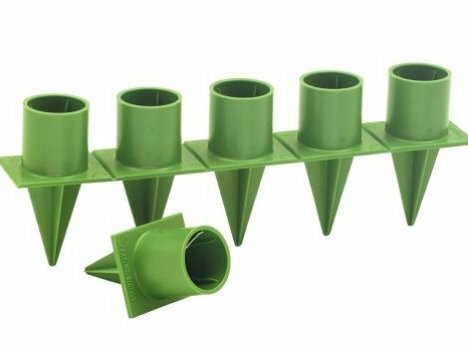 Use candle protectors to keep dripping off rented candelabras. 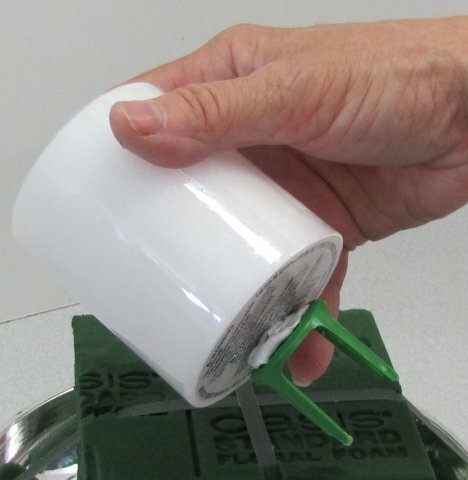 Taper candles can rock back and forth and wallow out a hole in the foam. There is always a chance of the candle falling out and breaking. Instead, I usually use the 1" candle stakes to hold the place in the arrangements and then insert the candles at the venue. 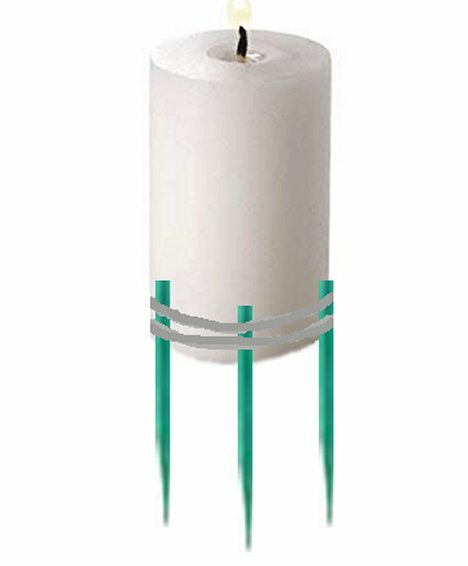 The larger stakes for 3" Pillar candles are harder to find. 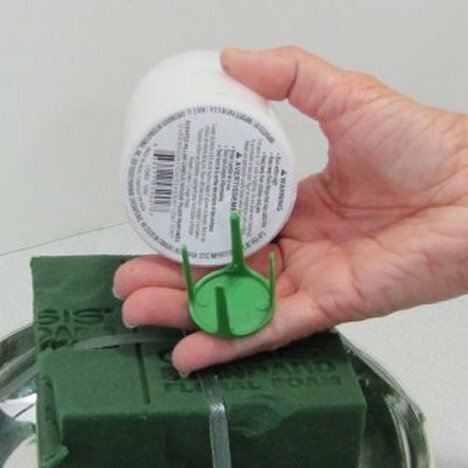 If necessary, use waterproof tape and tape several shortened wooden stakes around the bottom of the pillar candle. Then insert into the foam. 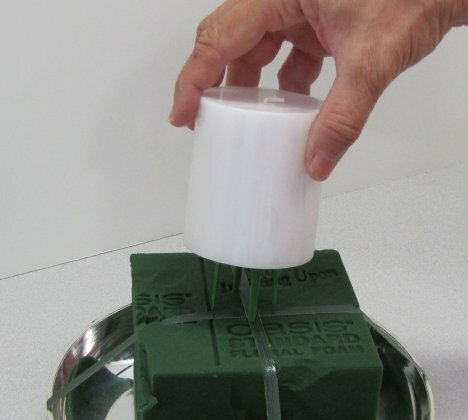 The wooden stakes are made of a porous wood that will swell when wet and keep the candle securely in place. These size candles are heavier and can usually be transported in the centerpieces. O'Dapter dishes are meant to be fitted into a taper candelabra, creating a cage that holds the cylinder foam so you can put a flower arrangement in the center of a table top candelabra. 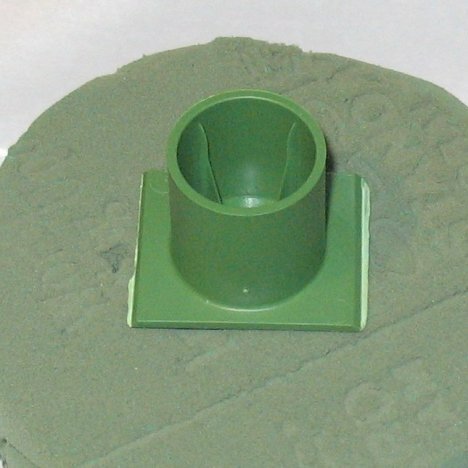 Hurricane Stakes are placed these first on the foam BEFORE you begin to green in the arrangement. 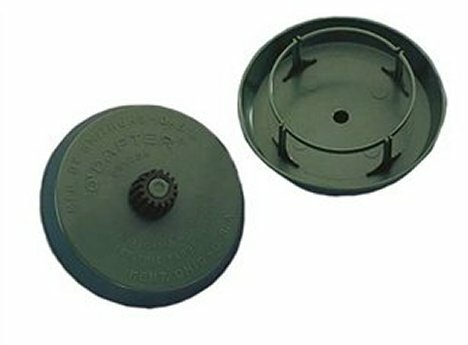 These are sized for a standard hurricane globe can be fitted around a taper candle. Single taper candles also have a special holder just for them. 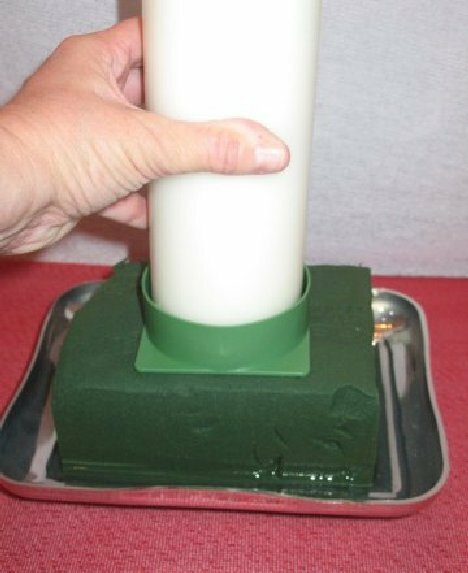 It holds the candle without having to bury the candle deep into the foam (losing the use of a good portion of the candle that way). I also use anchor pins and florist clay for a quick way to secure candles into foam. Flatten a small ball of clay on the bottom of the candle and press the anchor pin firmly against it. Press down firmly, anchoring the candle on top of the brick of foam.